Professor of Zoology at the Royal College of Sciences and Assistant Naturalist to the Science and Art Museum of Dublin, in which capacity he visited the Torres Strait islands north of Queensland, Australia in 1888 and 1889, examining marine biology. Fascinated by the customs of the native islanders, Haddon put together a team of scientists for the Cambridge Torres Strait Expedition of 1898. Spending almost seven months on the islands and New Guinea from April 1898, Haddon took along a Newman and Guardia 35 mm camera and recorded a number of films on the Murray Islands in September 1898. Problems with the camera in the tropical heat led to only a few films being taken, by Haddon himself, of dances and fire-making. These still exist and are of high quality. Phonographic records of islander speech were also made which also survive. It is not known if the films, the first ever use of the medium as an ethnographic record, were ever screened at the time, but scenes from them were used as illustrations in Haddon's official expedition reports. 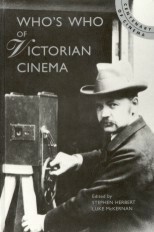 In 1906, however, Haddon is known to have organised a screening of the films where they were shown alongside the Phonograph recordings, in an attempt at rough synchronisation. 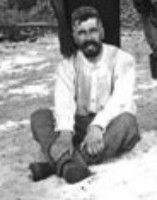 Haddon wrote many books, including Magic and Fetishism (1906) and History of Anthropology (1910) and can be properly said to have established the basic field techniques of modern anthropology.